They have worked very hard to manage their daughter’s seizure disorder without pharmaceutical drugs (which were failing her) by providing her with the healthiest, most nutritious foods available. They have left their home state to allow Kennedy to live on the water where allergy pollen is low and life is peaceful. Kennedy has blown away every statistic ever known about her seizure disorder and she is a model patient in how to manage it. She is smart, she is funny, she is active and she is normal. You would never know when you meet her that she has a debilitating disease. 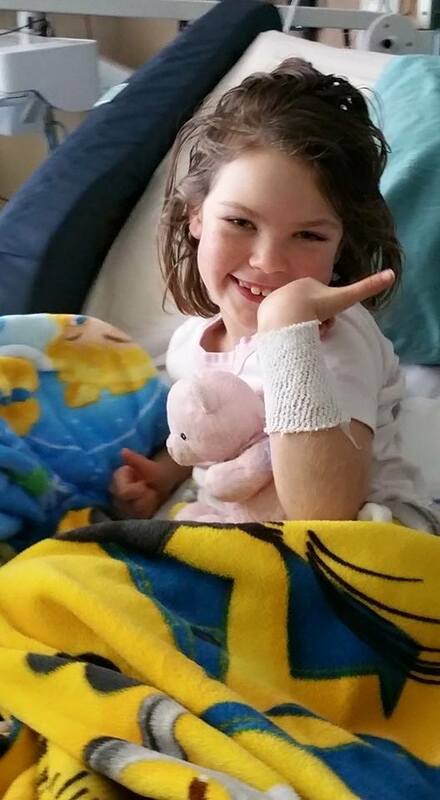 A few weeks ago Kennedy’s seizures began to return and by April 18th she was having multiple grand mals a day. Her parents had no choice but to take her to their local ER on April 23rd when they could not bring the seizures under control. The ER transferred Kennedy to Children’s Hospital of Orange County for admission. Dawn was horrified since she’d heard the nightmare stories about their head neurologist, Dr. Zupanc, who claims to be the foremost expert on Kennedy’s seizure disorder. Kennedy underwent EEGs, anesthesia and two spinal taps, an MRI, a CT scan, and was loaded with Depakote, Keppra, and Phenobarbitrol. When a dose of Depakote caused Kennedy to suffer an allergic reaction, as Dawn warned the staff it would, the doctor’s order was to give her more. Dawn had to throw her body in between her daughter and the nurses to stop the dosing. Kennedy worsened in their care and the seizures were clustering badly, minutes apart, but the doctors continued to load her with meds. Kennedy was starved by the hospital for seven straight days despite their promise to honor her mother’s request for a feeding tube so that Kennedy could metabolize the medication. Dr. Zupanc refused to believe that Kennedy had been a happy, healthy, normal child running on the beach and didn’t want to watch her mother’s videos showing it because in her opinion, no “normal” child has Kennedy’s seizure disorder. She said that the GAPS diet that brought so much healing to Kennedy was not proven, and that she, the doctor, knew Kennedy better than her parents. 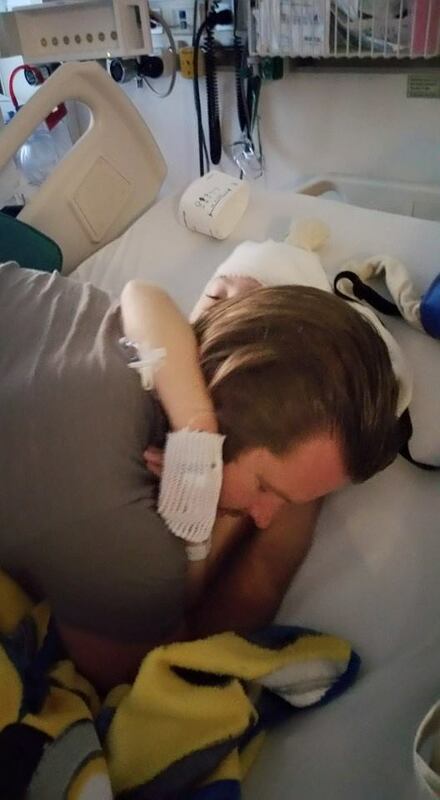 On April 26th, after three days of terrifying downward spiral, Dawn asked that Kennedy be at least four hours seizure-free before going back on the EEG. The doctor burst into the room screaming about getting a court order and Kennedy’s dad Carl took the conversation outside. When he returned he said the hospital made the decision to move Kennedy to the ICU. This was the hospital’s first step in starting to treat Kennedy without her parents’ consent. Then the neurologist called Child Protective Services. At 11pm CPS arrived and interrogated Kennedy’s starving, sleep-deprived, emotionally-wrecked parents for 2 hours. The next morning Dr. Zupanc came into Kennedy’s room with ten other doctors and claimed that Kennedy was having seizures that only the doctor could see, and that she had grounds to increase the drug load. Kennedy was already comatose and wearing a diaper by this point. Their little girl was slipping away before their eyes and CPS made it clear that if Dawn and Carl intervened again, they would come back with a court order. Dawn and Carl had no choice but to submit to a second spinal tap. Friends, I personally was down on my knees praying for this child by this point. I was sick over them losing her. On April 28th Kennedy finally got a feeding tube after starving for seven straight days; a horrific procedure. Dawn and Carl began to make moves to get Kennedy out of CHOC while CPS was interviewing their 8-year-old daughter, Reagan, in their home. They hired two attorneys and a 20-year medical advocate. Dr. Zupanc had other plans and the battle went all the way to the chief of the hospital. The medical advocate veteran had never seen a doctor behave in this way before. On a conference call, a metabolic doctor told them that a second spinal tap was a dangerous fishing expedition. 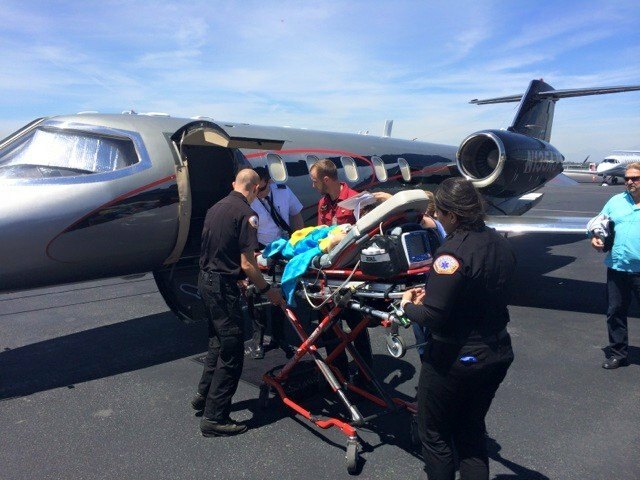 The ICU pediatrician said that Kennedy was stable enough to be airlifted out. Arrangements were made and the University of California at San Francisco was standing by to receive little Kennedy. Carl left to get the transfer papers notarized when the ICU pediatrician informed Dawn that Dr. Zupanc had blocked their transfer by declaring Kennedy unfit to travel. Carl returned and begged the pediatrician to advocate on their behalf and release Kennedy but the doctor was afraid of dealing with the wrath of Dr. Zupanc. After hours of negotiating with Carl, the attorneys, and the medical advocate, the pediatrician released Kennedy from the hospital. When UCSF called to finalize the transfer, Dr. Zupanc got on a recorded line and stated that Kennedy was not approved for travel by her or her colleagues. Confused, UCSF called Carl, who promptly got the ICU pediatrician on the phone, and confirmed that Kennedy was free to leave. Her exit was arranged for 8am the next day, April 29th. At 7:30 am they were informed the release was rescheduled for 10 am, and at 8 am technicians came into the room in attempt to re-wire Kennedy to the EEG, on Dr. Zupanc’s orders. Carl had to get the pediatrician to intervene on their behalf. Finally, at 12:15, the team arrived to get Kennedy the hell out of there. She was finally going to be safe in San Francisco. Kennedy began to wake from her comatose state as the hours passed without Dr. Zupanc’s drugs. 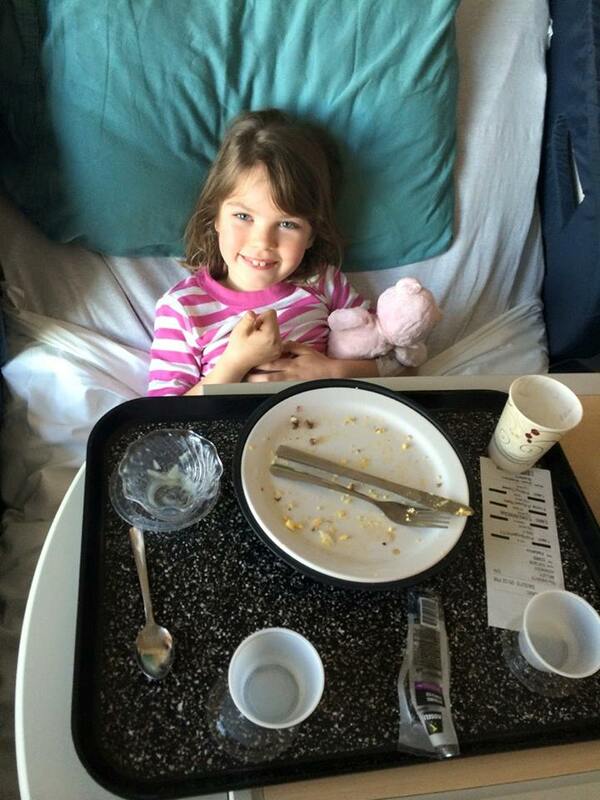 On April 30th she sat up and ate eggs, bacon, yogurt and pears for breakfast. The celebration was short-lived as Carl and Dawn discovered that Dr. Zupanc had called CPS in San Francisco. The doctor accused the Willeys of severe medical neglect and refusing all medication. Friends, you know what this situation calls for. Kennedy needs your help and obviously this doctor needs a little assistance in getting her mind right. She’s got to call off these dogs. The contact information for CHOC is found by clicking here. Call and ask to speak to the hospital chief, and the head supervisor of the neurology department. Tell them that you condemn Dr. Zupanc’s actions and that you expect her to lose her position at the hospital. Click here to write an email telling them exactly what you think of this situation. The CHOC Twitter handles are CHOCchildrens and CHOCdocs. Call their donors and tell them to stop donating. Call the US Senators for California and tell them that not only did this happen, but it is still happening, and you expect this to stop immediately. Medical kidnapping seems like a sensationalist idea until it happens to someone you love. Let’s stop this one in its tracks. Keep in touch with Kennedy’s Facebook page here. I don’t usually press reblog, Heck this is my first time. But I urge you all to read this and realize he easily this could happen to your family or a family you know. Medicine is important but at times we all do things better than the text book answer. This doctor refused to see evidence that the family was able to have a healthy child through a healthy life style and paying careful attention to foods and sUch. Because this family was successful in having a healthy child in spite of modern allopathic medicine, the doctor is terrorizing a family and preventing another doctor from helping them. This is a case of ego getting in the way of a child’s health and a family being together. I tried to call the hospital and got bounced around more than a ball in a pinball machine. I’ll try the other avenues of writing and contacting donars. I sent this written email to the hospital: To the hospital chief, and the head supervisor of the neurology department. 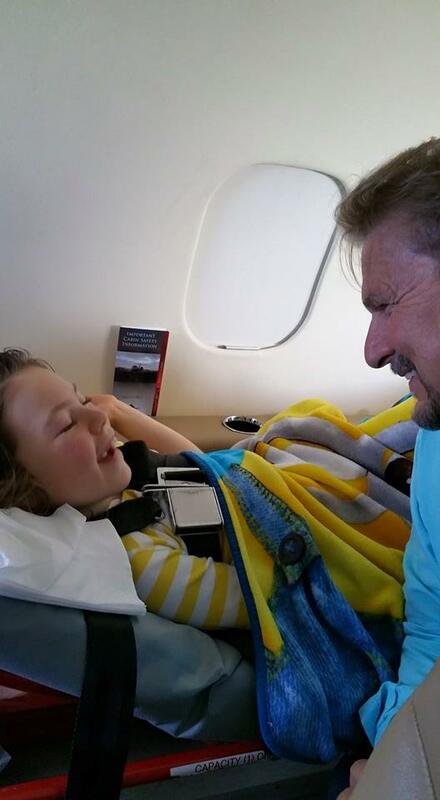 I formally condemn Dr. Zupanc’s actions and treatment of Kennedy Willey and her parents. I demand that Dr. Zupanc lose her position at the hospital. Medical kidnapping is a heinous crime that must be stopped. I also demand to know Dr. Zupanc’s direct relationship with the pharmaceutical companies from which she prescribed treatment. Based on her actions, it is quite likely she had a conflict of interest and received compensation, kickbacks, or a “consultant” or “advisory” status to prescribe the treatments she did. FIRE HER! I look forward to your response. This has become all too common across the country. Family should be advised to call this man, Attorney Shawn McMillan. Class Action Lawsuit Filed Against Orange County (CA) Child Protective Services Alleges Unwarranted Seizure of Thousands of Children: http://www.prweb.com/releases/2015/04/prweb12668689.htm. If you don’t believe how bad it has gotten over the years read this site: http://medicalkidnap.com/. -Senator Nancy Schaefer: Did her Fight Against CPS Child Kidnapping Cause her Murder? -Billion Dollar Children for Profit Industry: Foster Care Deaths and Sexual Abuses. -Filmmaker Was Documenting Abuses in CPS and Children Murdered under State Custody Before He Died. http://medicalkidnap.com/2015/02/10/filmmaker-was-documenting-abuses-in-cps-and-children-murdered-under-state-custody-before-he-died/. Dozens of stories on kidnapping of this country’s children and you don’t know if your want to cry or scream. These are the stories that have made it into the alternative media so you can probably double the number of cases that are actually out there. Wow. I’m in California and will contact the Senators, and will ask others on the page Californians for CPS reform to do the same. I’ve already written about this on Assemblyman Jay Obernolte’s facebook page “Jay Obernolte for Assembly”. He is the successor to Assemblyman Tim Donnelly, who had championed the Nikolayevs after baby Sammy was medically kidnapped in Sacramento. 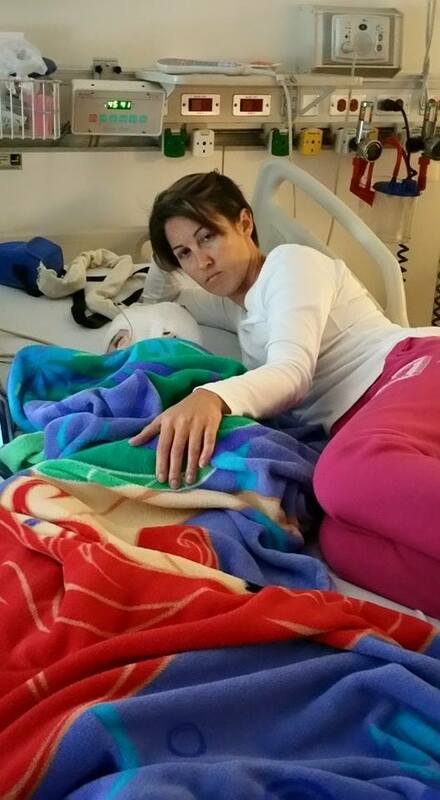 f you’ve followed Isaiah Rider’s case in Chicago and Justina Pelletier’s case in CT/MA, then you know medical kidnapping can have vastly different outcomes…..it may be that public pressure will help as it did for Justina or it could polarize things and bring them to a screeching halt as it did for Isaiah. It’s a crapshoot, at best. If there is anyone who has info on CPS in Orange County and CPS in San Francisco, please give us the benefit of your experience. It seems that doctors and CPS do not like educated moms, so it may be best for Kennedy’s dad to be the point man and for mom to take a back seat in dealings with doctors and the authorities. OC’s CPS has a class action lawsuit against it for taking children illegally. Fox’s LA station did a segment two years ago calling it a “system of lies”. The OC supervisors last summer renewed a foster care contract with a company known for corruption- they had all gotten campaign contributions from that company (Maximus Inc). 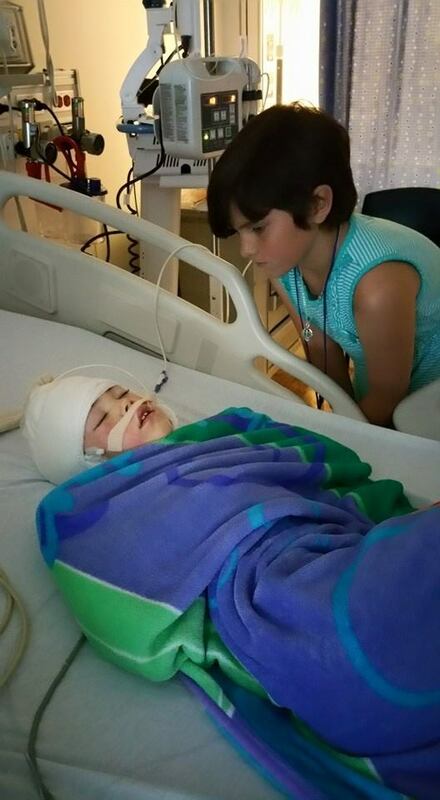 OC’s CPS and family court behaved abominably toward a little girl named Lexi Dillon. I don’t know anything about SF’s CPS. On their facebook page, the Willey family has said that SF’s CPS has been kind and has closed the case. I’m a Christian, forgive is what one is supposed to do. I can’t but hope that there is a special place in hell for people like this arrogant, power hungry, mentally sick, stupid doctor. I’m also a Christian and I can understand your outrage as I am also outraged after reading about this little girl. However, we should pray that this doctor become a follower of Jesus Christ. Think of the victory if this happened and how awesome it would be if the Lord used this doctor to fight for us instead of against us. I worked as a colleague of Dr. Zupanc nearly ten years ago for a national collaborative effort to improve the quality of healthcare for children with epilepsy. I was hired as a Parent Co-chair, and my duty as a faculty member was to ensure that parents’ input was valued and that parents were equal partners in the collaborative’s efforts. I am a parent of a young woman, now twenty years old, who has had refractory seizures since she was diagnosed shortly after HER vaccinations when she was two months old. Dr. Zupanc was the lead neurologist on the collaborative faculty and easily one of the most arrogant, patronizing and near-maniacal in her “authority,” of any neurologist I’ve met. I shook my head in dismay when I heard that she had been appointed as director of the pediatric neurology department at CHOC (she was at Wisconsin Children’s before that), even as I heard her lauded and praised by the professional community. I continued to hear terrible stories of her behavior over the years to many patients, several of them my own friends, so this story doesn’t surprise me. I wish this beautiful family continued strength and courage and applaud them for pursuing redress — I will certainly help to publicize it. I posted about it on my blog tonight as well. Yikes. Reblogged this on Bloodhound News. This so-called physician should have charges of criminal felony brought against her and at the very least, if found guilty lose her medical license. Where is humanity these days when a physicialn is treated like a GOD. Wake up people. Something is completely wrong and too many hospital administrators are not doing their job. With Big Pharmaceuticals giving doctors incentives for using their drugs are we suprised by this. I expect to see more cases like this in the future and in Australia. There is alot of evidence that real food diets such as GAPS and even Paleo do work and do help. We have record highs of children with allergies to food. Is it because our food is so tampered with, altered, processed and chemically sprayed? Is it the vaccines and the way certain ones are wheat and egg based and even worse? Reblogged this on Wolf Howls. I just called. Granted this happened a couple of months ago but I just came across this story and I was absolutely appalled. They should keep getting phone calls about this until she loses her job in my opinion! Though I have a feeling that’s a long shot 😦 I was told that they had been made aware of the situation and that it’s already been taken care of. I asked what corrective action had been taken and the lady just said that was out of her scope but she knows they handled it. I guess I’m just supposed to believe that? Right. I worked at CHOC, the donations from the unsuspecting communities are used for extravagant perks for the CEO, CFO, COO and administration NOT for the children they are supposed to treat. Do not donate to this place, it is corrupt. There are other children’s hospitals that care about their tiny patients, donate to them please.